Acupuncture has been practiced in China as a healing technique for thousands of years. 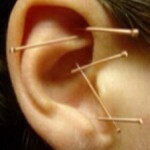 (Auricular) is another name for ears, so Auricular acupuncture involves the insertion of fine needles into the ear. 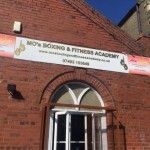 The points used are believed to calm the mind, strengthen the internal organs and aid the sympathetic nervous system. Auricular acupuncture has been shown to increase certain naturally occurring substances in the body, which are responsible for feelings of well being. The needles stay in for 40 minutes, but you should allow an hour for your treatment, as your practitioner will want to talk to you before and after the treatment. You may feel a tingling sensation but should not feel any pain. Auricular acupuncture practitioners have been especially trained in inserting the needles and will ask you to breathe in a certain way whilst the needles are inserted. 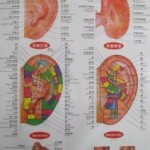 By stimulating particular parts of your ear, your Chi Energy (Life Energy) is free of blockages and free to flow naturally. Western medicine explains that nerves in the ear when stimulated, promote an electro chemical response in the brain, releasing neuro chemicals, such as dopamine and endorphines, which promote feeling of well being and re balance brain chemistry. Auricular acupuncture offers no side effects, reduces anxiety and depression and helps us to relax. 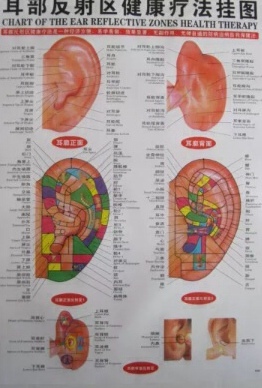 Please see our drop down menu under ‘Auricular Acupuncture‘ for further details on the benefits of our treatment.